Former Barcelona star Luis Suarez Miramontes says Lionel Messiai??i? ?s time at the club may be over and that he would leave for another club soon. The 79 year old Barca star believes that since the club has not been winning of late, Messi may want to move to some other club where he has more chances of winning silverware, especially if the offer is stratospheric. “I think Messi is still happy at Barcelona because the club has helped him a lot. They have been very supportive ever since he was a kid,” Suarez toldAi? ?Cadena SER. “But he might start to have doubts if a stratospheric offer were to come in. And you have to be careful when a player starts to gets doubts. It could be that Messi’s era at Barcelona is nearing an end. “Barcelona did not perform as we have come to expect from them last season and people might start having doubts if another season like that happens. Reports have been coming out of Camp Nou about the fall out between the manager Luis Enrique and the Argentina captain, and Suarezai??i? ?s quotes will certainly add fire to the debate. Already, the internet world is abuzz with excitement and rumours after Messi started following Chelsea and other Chelsea players on Instagram. In the normal world, that would be but an innocent, every day task. But when a football star does it, it can only mean one thing and that means Messi is angling for a move to the English club. However, it is doubtful if Chelsea would be willing to pay the huge amount of money that would be required to tempt Barcelona to sell and then pay the kind of wages he would want if he were to move to England. These aspects are especially important keeping into consideration the Fair Play rules and also the fact that Chelsea has been trying to reign in their expenditure and are looking to become self-sufficient. If there is one England that does have the deep pockets needed to pull off such a move, it is Manchester City. 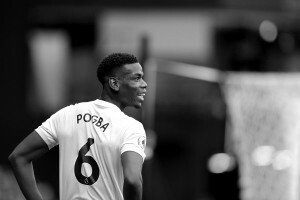 But after already having been punished with a reduced squad in the Champions League this season, it will be hard to see the Manchester club incurring the wrath of UEFA by once again spending such a huge amount of money on just one player. All this is moot however, if Barcelona decide not to sell Messi. After all, they have the advantage considering Messiai??i? ?s contract runs till 2018. They also need to consider the transfer ban set to be imposed on them, and so selling him would be a foolhardy decision.